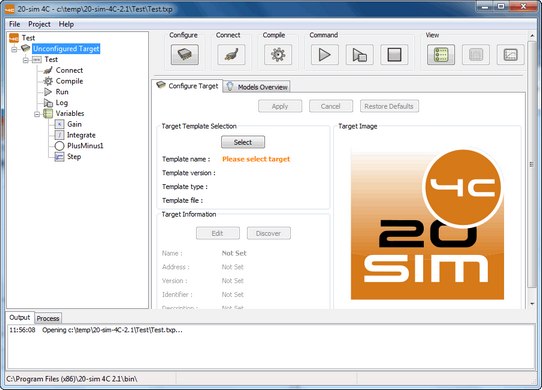 In the Configure step, you can select a new (or change to a different) target for your model to run on. 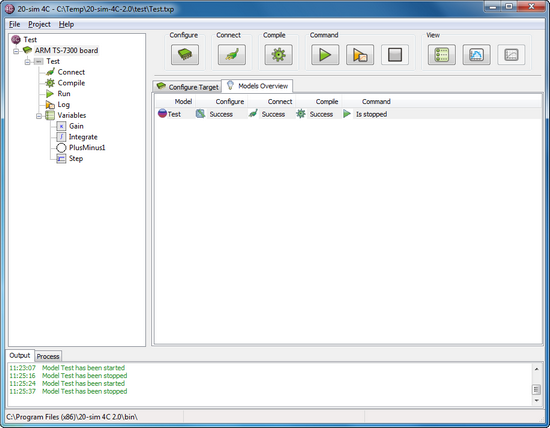 The Configure step has two tabs, the Configure Target tab and a Models Overview tab. Select the target and enter the IP address. 1.First select the desired target by pressing the Select button. 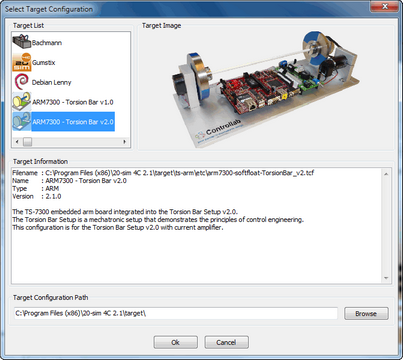 A dialog will be opened showing a list of supported targets. If desired, you create your own targets. The Filename shows the location of the corresponding Target Specification files. 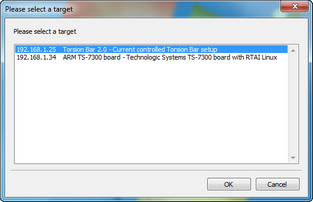 2.Select your target and close the dialog by pressing OK.
Target selection dialog when multiple targets are detected. 3.Click the Discover button to do another attempt to discover targets. 4.Click the Edit button to enter the target name and IP-address manually. Use the Discover or Edit buttons if the automatic connection fails. 5.Click the Apply button on the Configure Target tab to apply the target settings. If the connection cannot be made, the Configure button will be shown with a red color . If the connection was successful, the Configure button will be shown with a green color . Normally every second the target is polled to retrieve its state.